GREG BAKER/AFP/Getty ImagesChina’s Premier Li Keqiang speaks during a press conference after the closing session of the National People’s Congress at the Great Hall of the People in Beijing on March 20, 2018. 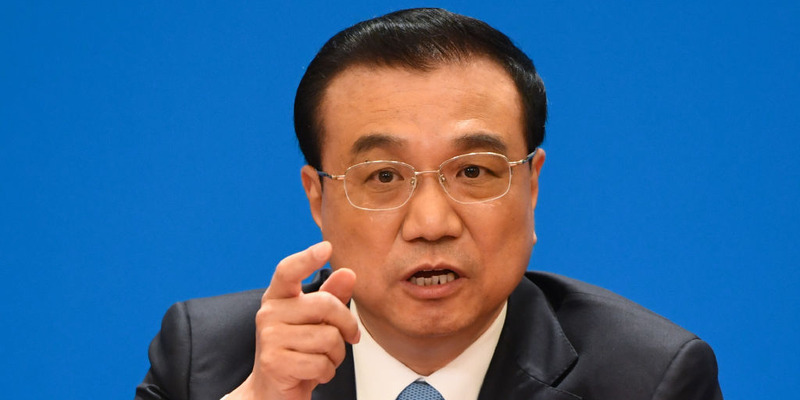 China’s Premier Li Keqiang said the country will “not be led by emotions” in a potential trade war with the US as he pledged to open China’s market up even further. In a press conference on the last day of China’s annual legislative meeting, the National People’s Congress, Li responded to a range of questions covering a potential trade war with the US, the position of Taiwan, and opening up the country’s economy. Context: Li said domestic and foreign companies will soon be able to compete on “fair terms” in China, signifying a shift to a more open market. He also said that China plans to cut taxes for imported goods, have zero tariffs on drugs, and will open up access to its manufacturing sector. Context: Two of China’s biggest tech companies are listed overseas – Alibaba in the US and Tencent in Hong Kong, and Xiaomi is set to soon list in Hong Kong. China wants domestic investors to be able to profit from these companies and Alibaba is reportedly planning a second listing in mainland China. Context: Earlier on Tuesday President Xi Jinping gave a hardline speech saying China will not cede a “ single inch of our land.” It’s likely that these comments are referring to the Taiwan Travel Act that Trump signed into law on Friday. The law allows officials from the US and Taiwan to visit one another. China has been angered by the law as it sees the move as a step towards recognition of Taiwan as a country outside of the “one China” policy.